Santa may be coming early to Red Shadow! BBPIG GCh. RedShadow’s Tuff Act To Follow RA CD (Hadley) was bred earlier this week to the multiple award winning BIS MRBIS Can GrCHX SeaTerrace’s History Muse Clio WC RN FDX CGN (Buck)!! Hadley is a bright, spirited girl with high intelligence and tremendous focus.Her markings are very flashy, her movement is graceful and balanced within a solid structure. Hadley won Best Baby Puppy in Group at her only weekend of showing as a baby puppy. In Limited showing, Hadley went on to win multiple Best of Breeds, including 4 in a row and multiple Best of Opposite, one of which was at the prestigious South Western Retriever Specialty. Hadley completed her Grand Champion title at the 2017 SD&G show, winning Best of Opposite twice in a field of 30 Tollers. He is an accomplished performance dog, having successfully competed for his Working Certificate (WC), Field Dog Excellent(FDX) and Rally Novice (RN) titles. As a indicator of his wonderful temperament, Buck has also received his Canine Good Neighbour title (CGN). If Mother Nature works her magic, we will have puppies in the house around December 7th! 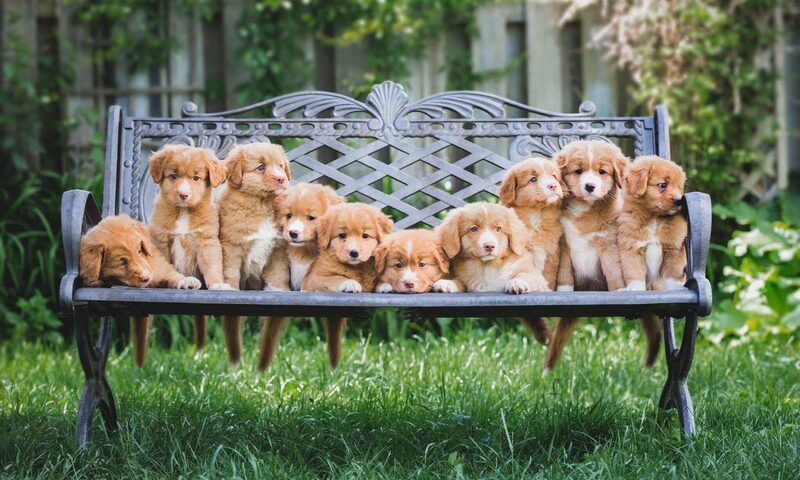 To view the pedigree of this outstanding litter, click here.